In Ontario, there is finally an open debate among decision-makers about the policies that are needed to reduce traffic congestion in, and fund public transit for, the Greater Toronto and Hamilton Area (GTHA). This is a discussion that has been needed for a long time because traffic congestion in the GTHA is costly in many ways. Direct annual costs of congestion (i.e. lost time to drivers) grew to more than $3 billion per year, while the drag on the economy grew to more than $2 billion per year (Toronto City Summit Alliance, 2010). Traffic congestion is also costly to public health. Traffic congestion increases traffic-related air pollution in communities surrounding roadways; it increases exposure to air pollution among individuals in vehicles (Montreal, 2006); it decreases the time available to commuters for physical activity, family time, and socializing; and it increases the levels of stress among commuters (WHO, 2000; TPH, 2006). The air pollution-related health impacts alone are significant. In 2007, Toronto Public Health estimated that traffic-related air pollution produces approximately 440 deaths,1,700 hospital admissions and 200,000 restricted activity days per year in the City of Toronto alone (TPH, 2007). The mortality-related costs alone were valued at about $2.2 billion per year (TPH, 2007). While there are many policies that can and should be employed to reduce traffic congestion in urban and suburban areas within the GTHA, to deal with the issue on a regional scale one has to deal with the issue of public transit and the policies needed to encourage a shift from personal vehicles to public transit. 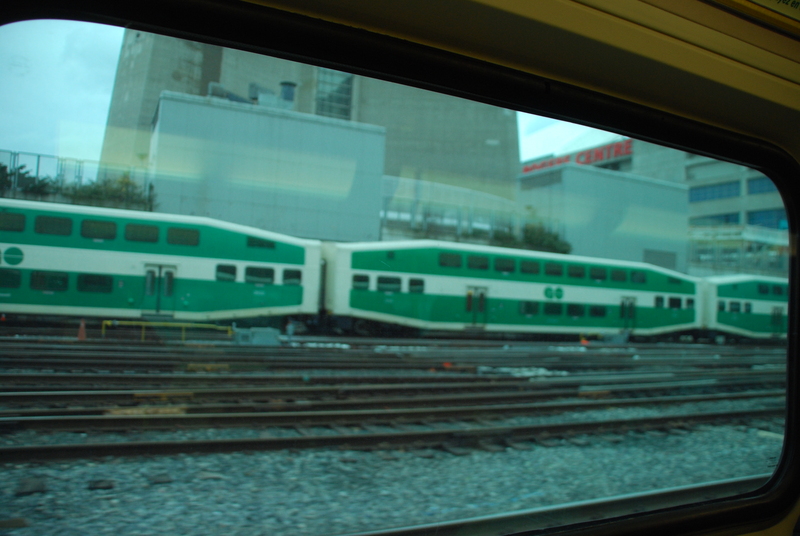 Metrolinx’s Regional Transportation Plan, “The Big Move“, has identified the need for $50 billion in capital investments for transit and transportation systems in the GTHA over the next 25 years (Toronto City Summit Alliance, 2010). While it is widely recognized that this investment is needed, there is, as yet, no consensus about how to fund it. The Toronto City Summit Alliance report assesses 12 potential approached to this issue for: the funding they could provide; their potential impact on traffic congestion; and their unintended negative impacts. The report considers: road tolls, a regional gas tax, a commercial parking levy, a regional sales tax, high occupancy toll (HOT) lanes, HST revenue from gas/diesel taxes, a central area congestion levy, a value capture levy, a utility bill levy, an employer payroll tax, and a national Federal-Provincial Transit Strategy. 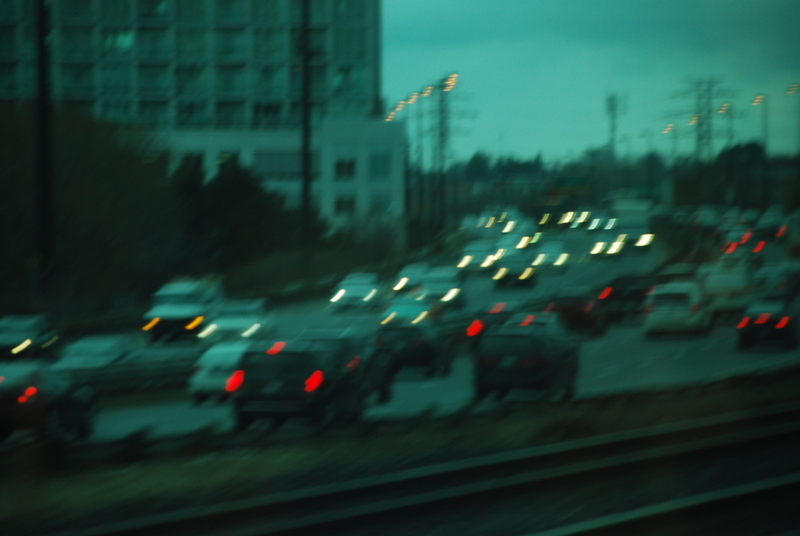 HOT lanes, which allow lone drivers to drive on high occupancy lanes if they are willing to pay a toll, were identified as one approach that could generate significant funding for public transit and relieve traffic congestion, while avoiding some of the equity concerns presented by road tolls when applied to all lanes on a highway. In 2011, the C.D. Howe Institute reported that, if all existing and planned high occupancy vehicle (HOV) lanes in the GTHA were converted to HOT lanes, $926 million per year could be generated in gross revenues for public transit (Dachis, 2011). Provincial and municipal decision-makers have been reluctant to discuss road tolls as a source of transit funding because historically this approach has been unpopular among the citizens of the GTHA. While road tolls are unlikely to provide all of the funding that is needed for The Big Move, they are an important tool in the box of tools needed to reduce traffic congestion and fund transit in the GTHA that should be seriously considered. Perhaps we need to be clearer with the public that traffic congestion is already costing us much more than toll roads would? Toronto City Summit Alliance. 2010. Time to Get Serious: Reliable Funding for GTHA Transit/Transportation Infrastructure. Prepared by Neal Irwin, IBI Group and Andrew Bevan, Sustainable Prosperity. World Health Organization. 2000. Transportation, Environment and Health. Toronto Public Health, 2007. Air Pollution Burden of Illness from Traffic in Toronto. Board of Health report. Dachis, B. 2011. Congestive Traffic Failure: The Case of High-Occupancy and Express Toll Lanes in Canadian Cities. C.D. Howe Institute e-Brief. August 31, 2011. This entry was posted in Active & Sustainable Transportation, Air Quality & the Built Environment, Climate Change, Health Equity & the Built Environment, healthy communities, Healthy Communities/Sustainable Communities, Kim Perrotta and tagged Air pollution, HOT Lanes, public transit, road tolls, traffic corridors and air pollution, Transportation planning by Kim Perrotta - Executive Director (Volunteer), Creating Health and Sustainable Environments. Bookmark the permalink.